1) No text emotes in spatial, e.g: lol, omg, rofl etc. 3) In spite of the tags floating over your head, to RPers they are invisible. You do not know someone's name until they are introduced. These can be turned off under Options > Misc > uncheck all the boxes showing names. 4) You do not know someone's faction or profession, see 3 above. 5) Those Jedi that do exist are in hiding, therefore you keep your profession under wraps. Do not wear Jedi robes or display a lightsabre, doing either will draw the attention of the Empire, leading to arrest or death. 6) No IM style text e.g: u instead of you or any other abbreviation. 7) Never project an action on to someone else e.g: "knocks X to the ground" this is power emoting and not permitted by most RP guilds and communities, better to say "attempts to knock X to the ground" thus giving X the chance to decide whether he stands or falls. You should think about how your character would react, not how you would react in real life. When roleplaying, you take on the role of a character in the Star Wars universe. You must accept the consquences of your actions too. 9) Care must be taken to make sure that OOC (Out Of Character) issues do not affect your IC (In Character) actions. This may have the effect of adversely affecting your character's role in a scenario. Also, bear in mind that agression, hatred or even specieism is directed at your character, not you the player. Do not let IC actions affect you OOCly, hard one to learn but necessary. 10) Make sure your character walks, under Options > Controls > uncheck player runs by default. 11) It is suggested that character names should fit into in the Star Wars universe. Names that would have been given by your character's parents. Sadly, even the character creation name generator can let you down! 12) Once you have worked out your character's background and occupation, it can not be changed unless you role play a change in occupation over a realistic period of time, justified by RP. Medic one moment and then BH the next, without good cause or reason may lead to you being ignored by other RPers. Keep these twelve points in mind and although it means you will react more slowly to situations, you will find fellow RPers will give you time to do so. 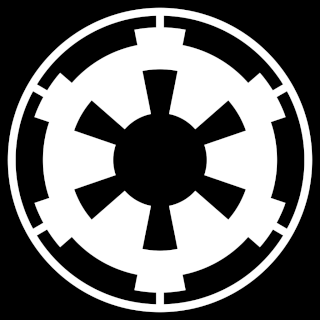 There are many other aspects of RP to learn too, equipping armor can only be done if you have RPed carrying it with, for example, talking in normal tones about rebel activity in the presence of stormtroopers will cause a severe reaction. Watch and learn is a useful motto for the new roleplayer and accept help and advice gracefully. 14) Find transportation is not so difficult, you can ask for, steal, buy, take, should be found. It all depends on your imagination and the situation. But the call transport is better unnoticed by other players who IC. Some of the best characters and RPers I've met have had sometimes a very simple back story and have allowed their in character actions to define them more and to develop their character. It could be said to be the same in regards to the "empire/rebels slaughtered my family, I'm an orphan out for revenge" storyline, I'm not saying not to use this idea but you should try and think deeper for their motivations etc.